Situated in the rural seaside town of Little Compton, Adamsville Wine & Spirits personifies a cute, country package store from the outside, yet holds a carefully curated collection of beer, wine and spirits on the inside. While the town of Little Compton claims just under 3,500 year-round residents, the population increases substantially in the summer months. 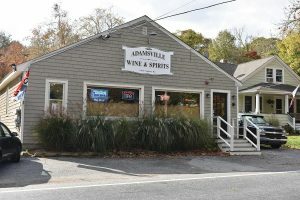 Tourists flock to the unique community to take advantage of its hiking trails and the popular South Shore Beach, bringing a diverse range of customers to Adamsville Wine & Spirits. Pitts often sees customers from the nearby towns of Tiverton and Westport, Massachusetts, too, but said it’s his regulars that make up a vital part of the store’s customer base. The store’s ever-evolving inventory of craft beer comprises between 40 and 45% of its overall sales, with IPAs remaining popular. “I do a lot of craft beers, which I just rotate through; I never keep the same,” Pitts said. 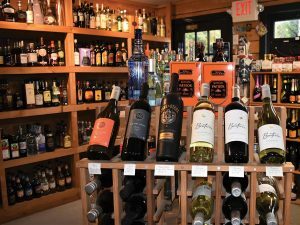 “I try and keep it fresh and interesting and different week to week.” Wine and liquor sales make up the rest of business, split evenly, according to Pitts, with bourbon and gin the store’s top-selling spirits. 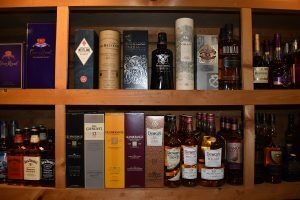 The shop’s wine inventory is made up of unique selections that are mostly outside of the mainstream, from smaller vineyards, which enable Pitts to purchase fewer cases, an ideal arrangement for a store of its size. 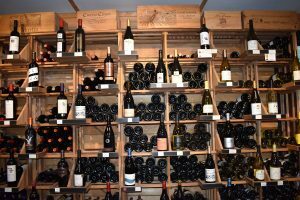 “Instead of having to buy into a 50-case drop of a [larger-volume produce wine], I can go through smaller vineyards, smaller distributors; five, 10 cases here and there,” Pitts said. “It’s much easier … to rotate stock and … keep things moving. 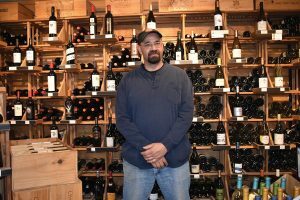 “You can find some really nice wines in the same price range from lesser-known vineyards and lesser-known distributors and you just get people to try it and they’re believers too,” he continued. The exterior of Adamsville Wine & Spirits. 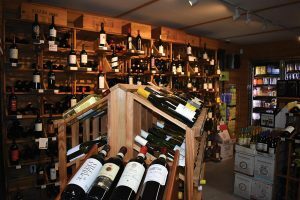 The interior of Adamsville Wine & Spirits.